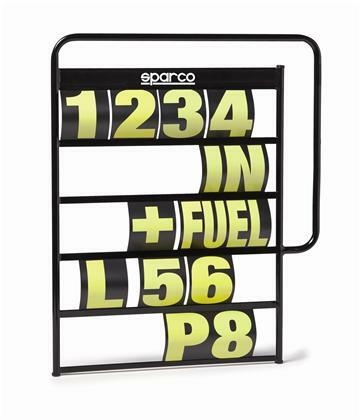 Make sure you know where you stand with the Sparco Pit Board. Made from reflection proof black aluminum frame, this durable frame is necessary for any team. 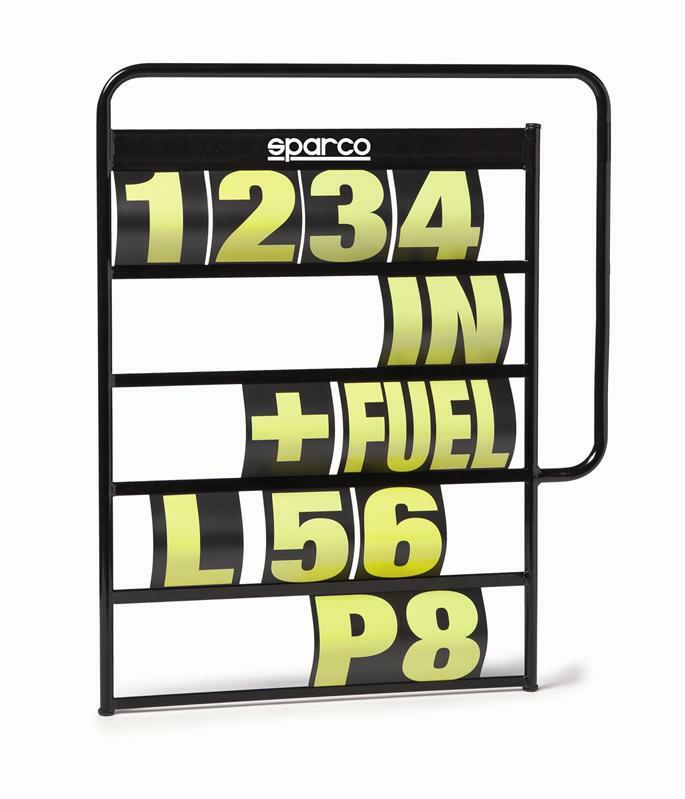 NOTE: Board and Numbers Sold Separately.